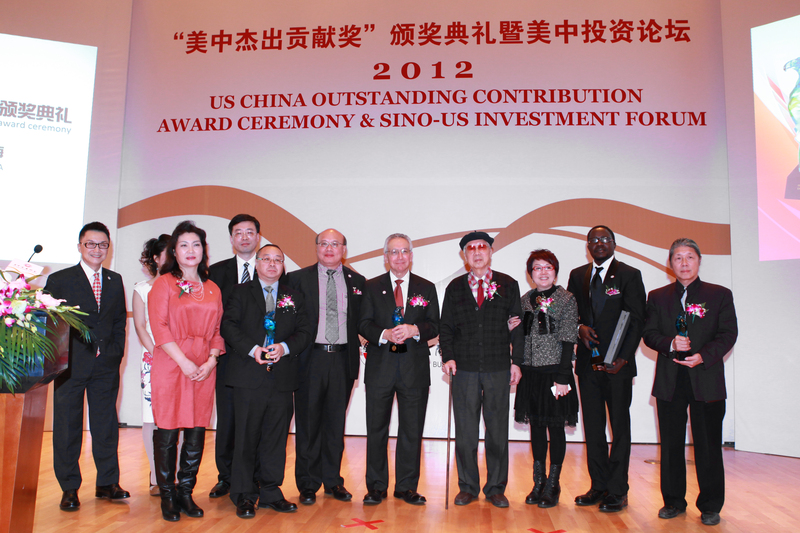 The 2012 US China Outstanding Contribution Award and Sino-US Investment Forum sponsored by the US China Business Association officially concluded at the Center for American Studies at Fudan University in Shanghai on November 19th, 2012. 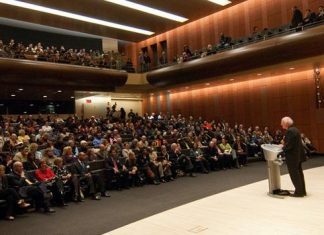 Over a hundred people from China and the United States attended the event. They are outstanding representatives of bi-lateral exchanges and cooperation in the fields of diplomacy, finance, commerce, culture, the arts, media, science and technology. US China Business Association is a non-profit organization registered in the United States of America. It was established at the initiatives of prominent business executives in both China and the United States. The US China Outstanding Contribution Award is an initiative of prominent and visionary Chinese and Americans who are gathered in supportive of the bi-lateral friendship, and devoted to the promotion of peaceful co-existence and development. The award ceremony is conducted and supervised by the US China Business Association in a fair and just setting to recognize the distinctive figures from both countries. The US China Outstanding Contribution Award is free from the influence of any government, political parties, organizations, media or public opinions in its process of nomination, selection, voting and confirmation. This is an annual event, with trophies and medals awarded to recipients at the award ceremony. The event plays a positive role in enhancing the understanding and promoting business exchanges and cooperation, the economy, trade, investment and development of relations of the business communities between China and the United States. 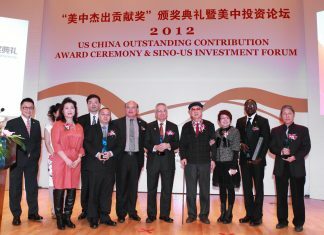 The first US China Outstanding Contribution Award Ceremony was successfully held at Jiaotong University in Shanghai, May, 2011. The award winners include Dr. Henry Kissinger-the former U.S. Secretary of State, the famous economist, financier Maurice Greenberg; the famous Chinese artist Huang Yongyu, the famous American artist Abiola Akintola, News Corp. S.V.P. Jack Gao, and famous Chinese gift designer Deng Tao. After more than a year of research and evaluation, the award winner list was announced at the 2012 US China Outstanding Contribution Award Ceremony. They are Jimmy Carter-the 39th president of the United States, Roel Campos-former Commissioner of SEC, Jackie Chan-the international Kungfu movie star, Yang Zhiguang-the famous Chinese master artist and art educator, Elon Musk-the American scientist and President of Space X and so on. The distinguished group of people from China and the United States included in the award list herein announced has made great achievements in their fields of professions, and has made unrivalled contribution to Sino-US relations and friendship. 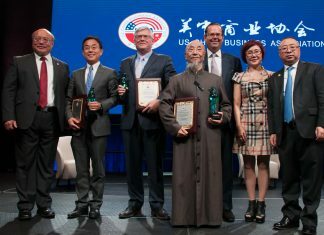 The US China Business Association also received a congratulatory message from the Carter Center, expressing his heartfelt thanks to honor him with the Award. 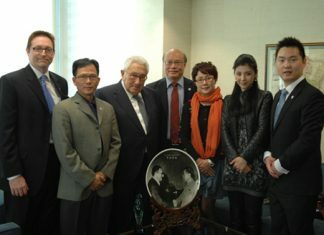 Dr. Kissinger wrote a congratulatory letter and warmly congratulated this outstanding group of people, and encouraged the US China Business Association to carry out the work that is conducive to the understanding and friendship between China and the United States.